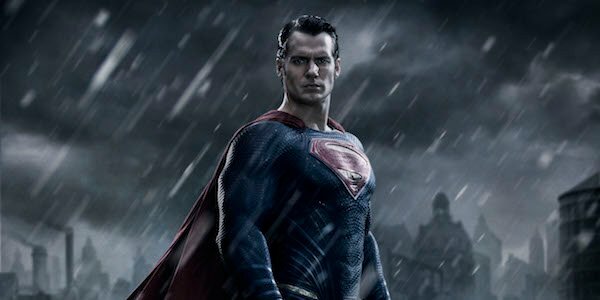 Will Superman Ever Get Another Solo Movie? Man of Steel was the movie that kicked off the DC Extended Universe, and originally Man of Steel 2 was intended to follow. However, that movie soon became Batman v Superman: Dawn of Justice, which was certainly a follow-up to Superman’s 2013 flick, but not a direct sequel. As it stands following the 2014 DC movie slate announcement, Superman’s only official future appearances will be in the Justice League movies, and it doesn’t look like giving the Kryptonian another solo adventure is a priority right now. We’re in the process of looking at that. But we don’t have it on the schedule at the moment because we’re quite busy with the movies that we have scheduled. Right now, there are two DC movies scheduled per year between now and 2020. If Warner Bros wants to stick to that pattern, then obviously Man of Steel 2 would have to wait until 2021 at the earliest. However, DC could easily take Marvel’s approach and start upping their releases to three per year, which could bump up Man of Steel 2 to 2018 at the earliest. The sequel has been talked about on and off over the last year, and there was even a rumor that Mad Max: Fury Road’s George Miller would direct, but that was later debunked. So while there’s certainly been talk concerning Man of Steel 2, that’s as far as it goes. I do believe it depends upon the success of this movie. If this goes well, then we can start negotiating with Warner Bros. to develop a standalone Superman, but they've got their plans set out for other stuff and Justice Leagues and various other movies, so it's about finding the time really. It's something I'd be very keen to do. Unfortunately for Superman, a certain Gotham City defender may beat him to the punch. A Ben Affleck-led (and maybe even directed) Batman movie is reportedly being worked on, and following the Caped Crusader’s positive reception in Batman v Superman: Dawn of Justice, it’s rumored the studio wants to fast-track his movie for a 2018 release. So between Batman and Superman getting their own movies, Batman stands the better chance given his popularity. Plus, he’s the only Justice Leaguer who hasn’t gotten his own movie in the DCEU or doesn't have one scheduled. When we’ll see Man of Steel 2, if at all, remains to be seen, but moviegoers can look forward to Superman’s return in Justice League: Part One on November 17, 2017.